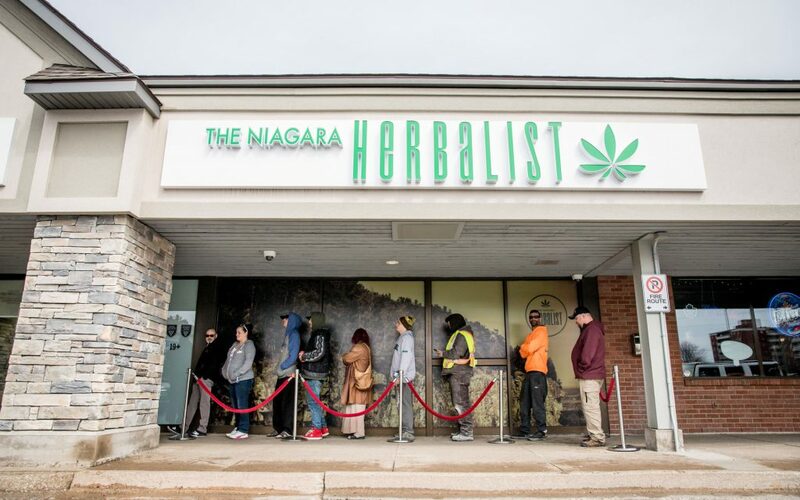 The Niagara Herbalist is owned and operated by Kevin Trethowan, his wife Jessica Bonilla and her brother Max Bonilla. 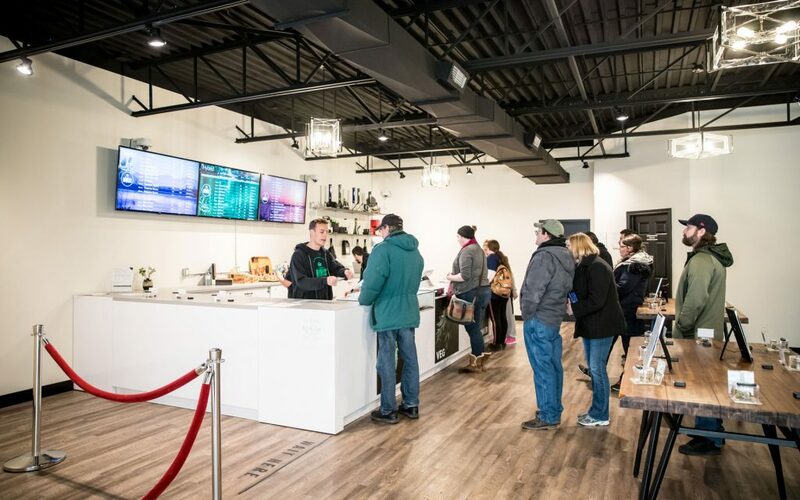 It’ss the first legal cannabis outlet to open in The Garden City and the surrounding Niagara Region. 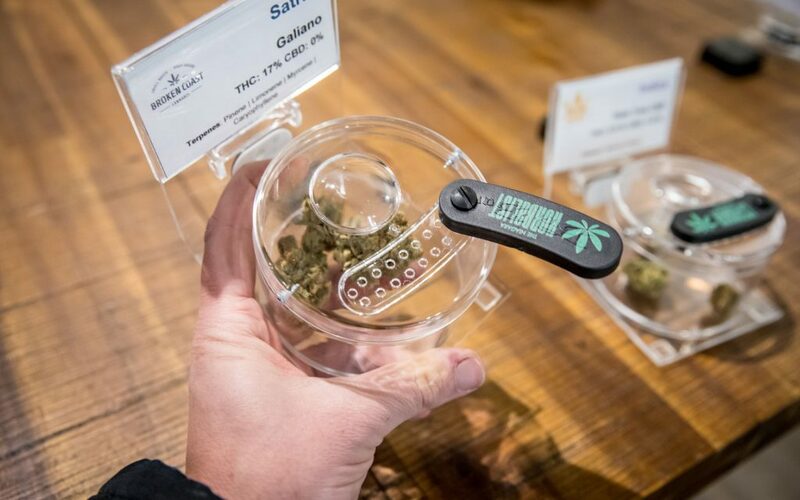 The area, famous for its vineyards and orchards, has more recently become a hub for cannabis greenhouses. 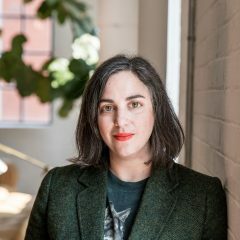 Before applying for a cannabis retail license, Trethowan had worked on designing cultivation facilities for licensed producers in the surrounding Southern Ontario communities. 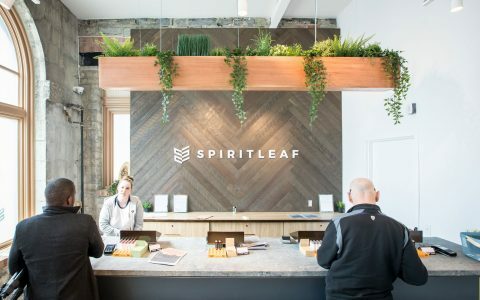 This might just be Ontario’s first, true mom ’n pop cannabis shop. The family-run store offers an approachable place to explore the new crop being grown in this community’s own backyard. Formerly a realtor’s office, the family demolished a grid of offices to open up the floor space and create a bright and airy atmosphere. A photo of the Niagara Escarpment spans the storefront windows and from inside, it’s lit up like a lightbox that could be confused for a macro bud shot. 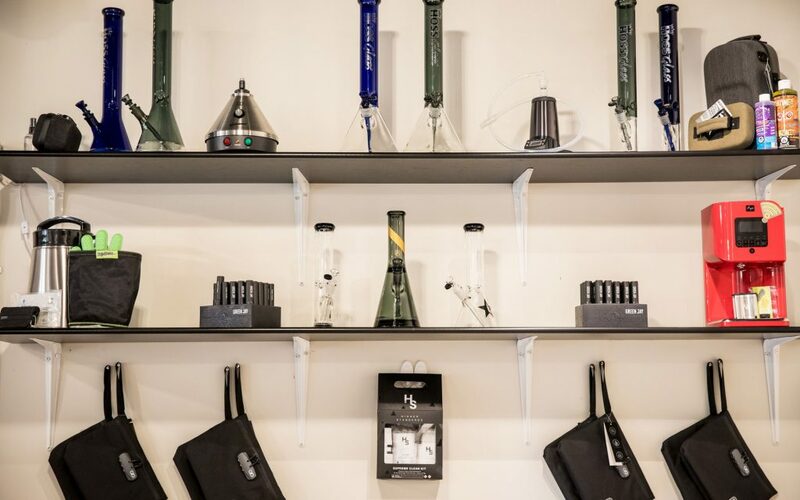 Find the interior set up with tables to inspect strains while educational posters hang on the walls and explain terpenes and the anatomy of cannabis plants. 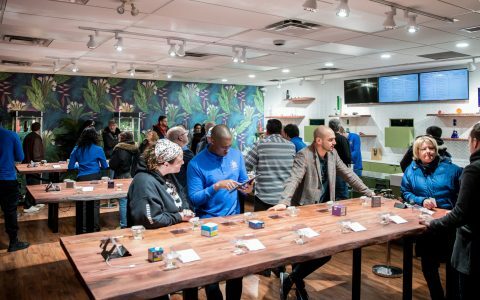 Customers can peruse a tabletop full of bud samples or snag a staff member for a one-on-one consultation on the store floor or in a private room. Ordering takes place by queuing up at the counter once you’ve made your selections. 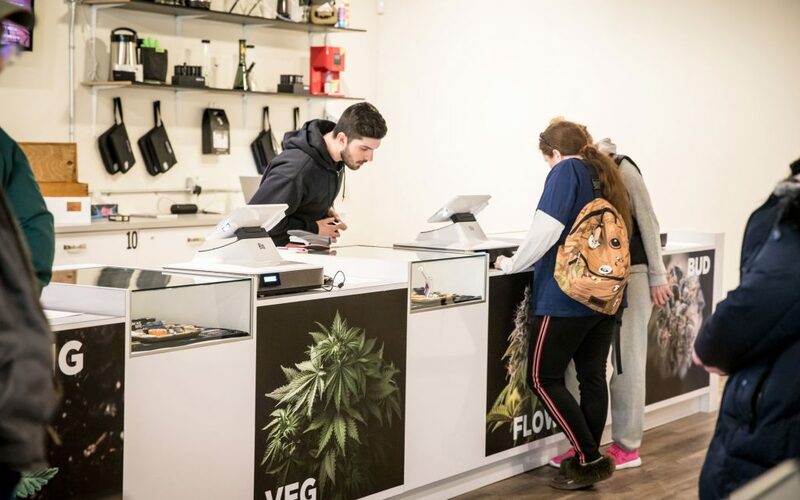 In its opening weeks, the store is stocked with 40-or-so different strains of dried flower plus as many oils as available. Price-wise, Trethowan is trying to stay comparable to the OCS but notes that they have significantly higher overhead. The line-up of accessories and ancillary items on offer are currently sourced from the OCS. 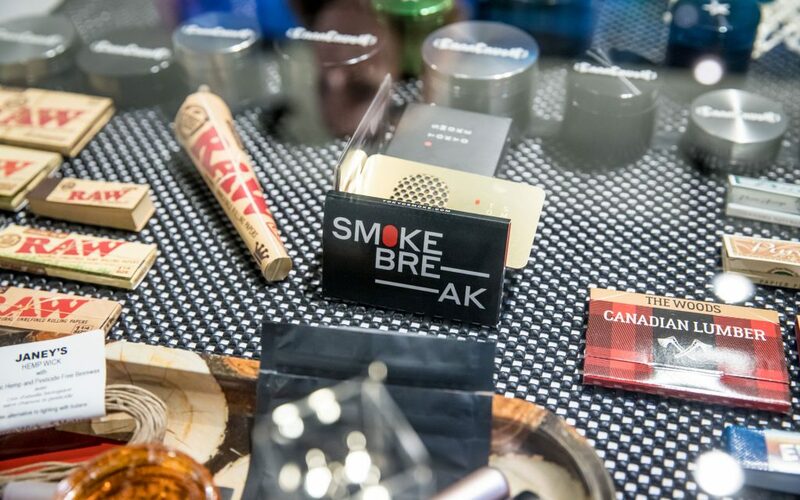 Find essentials like pipes, vapes, papers, and grinders in no short supply. 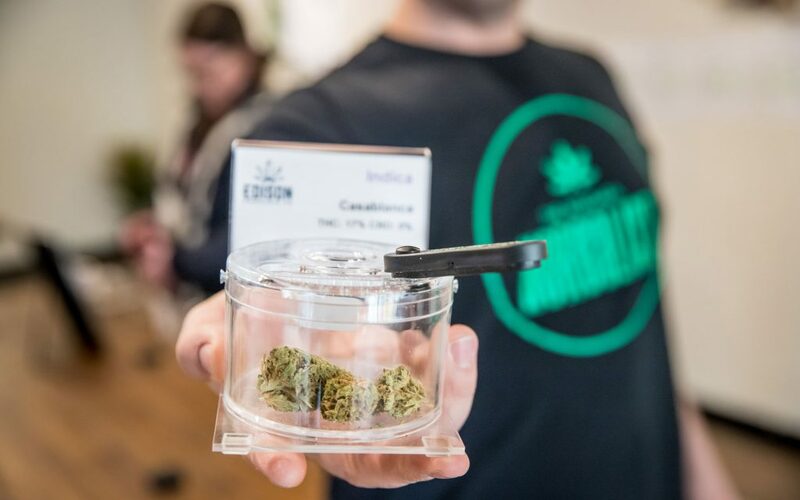 The Niagara Herbalist emphasizes education and community and plans to partner with the nearby Niagara College cannabis horticulture program, as well as bus tour companies. Be sure to bring along a valid ID, only 19+ individuals are permitted in-store.